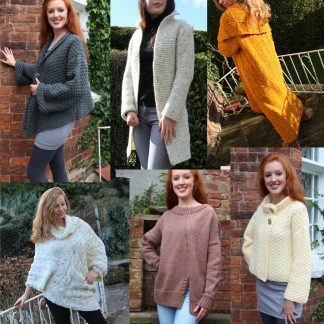 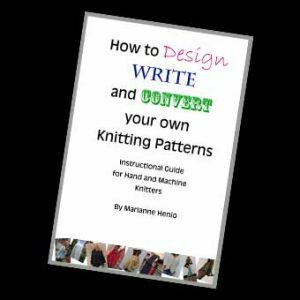 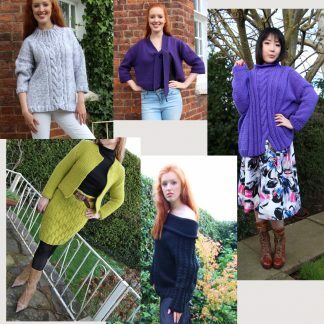 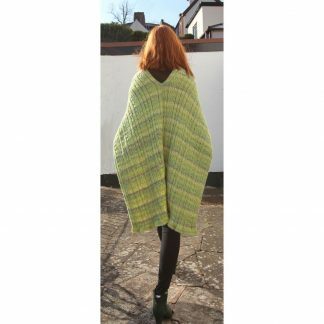 This original designer knitwear pattern from Award Winning Designer Marianne Henio is for the Limoncello Jacket. 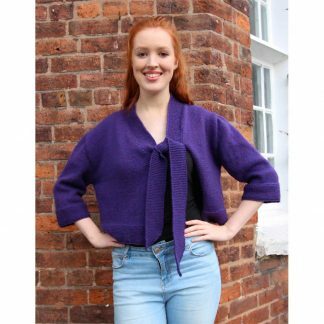 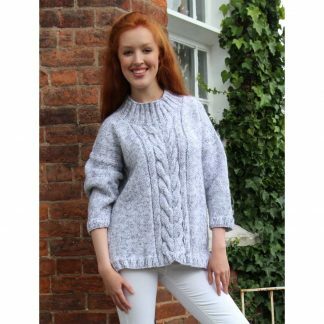 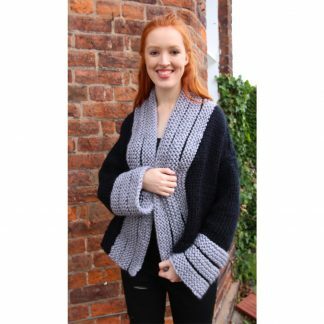 Knitted in Hayfield chunky yarn, this jacket is knitted in a lovely seed stitch creating a great fabric. 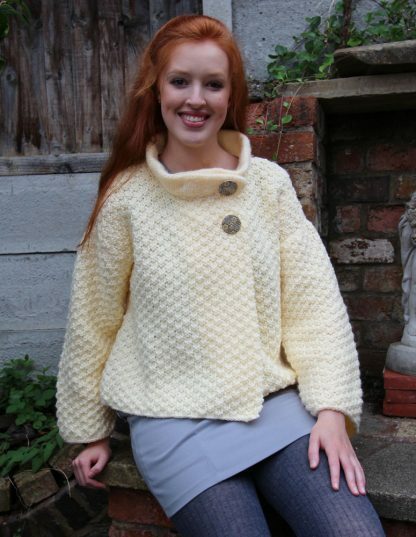 The pattern comes in sizes XS to XXL. 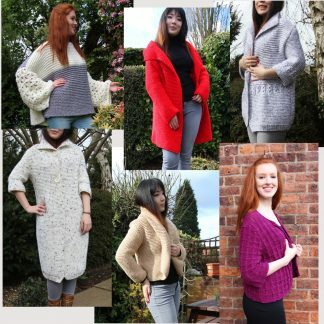 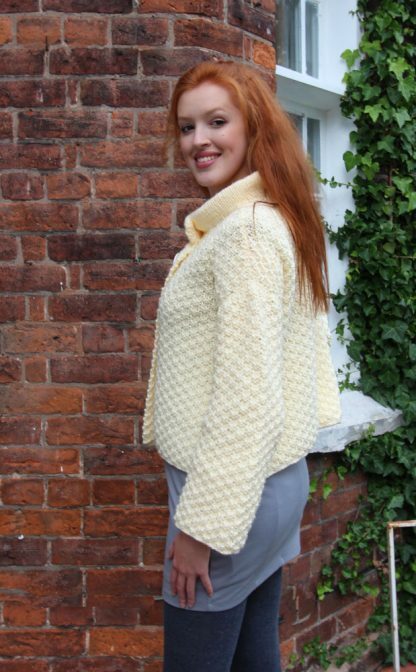 The Limoncello Jacket is for intermediate knitters. 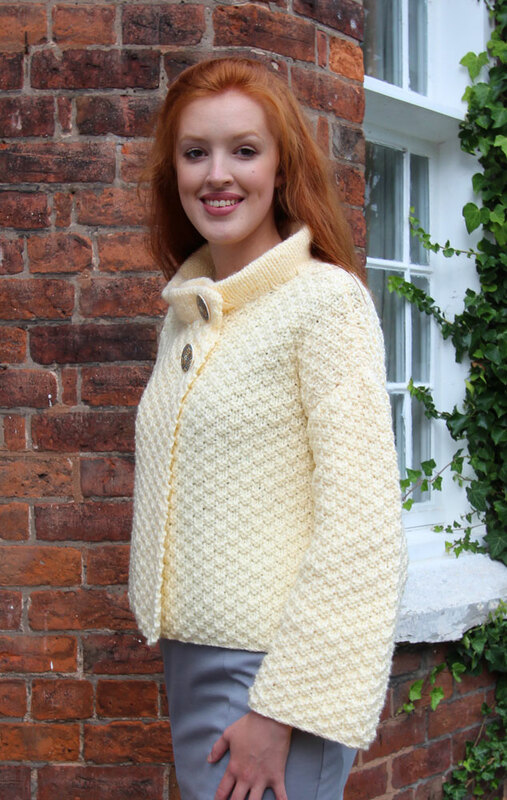 Yarn used: Hayfield Bonus Chunky in Aran shade 993. 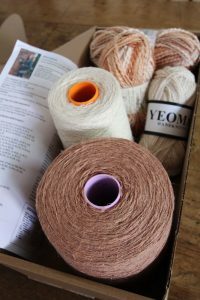 Approx yarn needed for all sizes = 600/700/800/900/1000/1000gms.